It's time to claim loud and clear the abolition of slavery of all the animals, the abolition of the practices which cause them the biggest wrongs: their breeding, their fishing and their slaughter. Every year in the world, 60 billion land animals and more than 1000 billion aquatic animals are killed without necessity, which means that 164 million land animals and more than 2,74 billion aquatic animals are killed every day. Please wear red if you can. 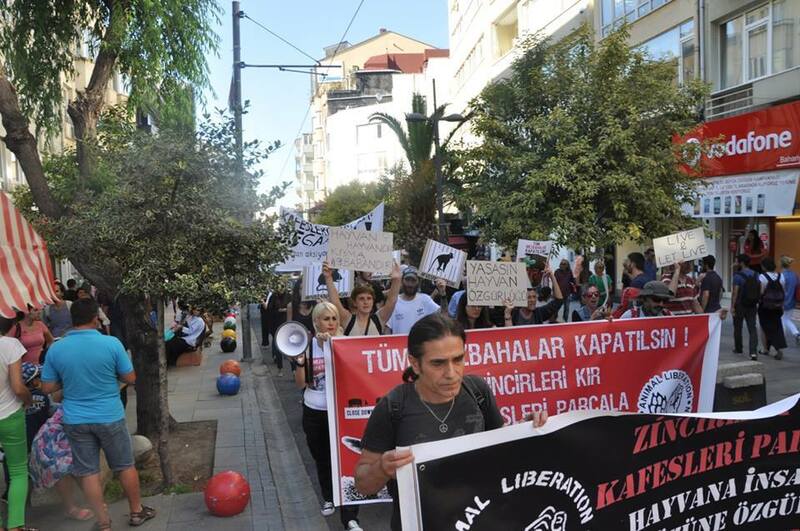 The march is organized by Animal Liberation Press Office -Turkey.